Fn’Gr8 skippered by Rory Fekkes from Carrickfergus Sailing Club, winner Class 4 IRC and overall winner Volvo Cork Week 2018. 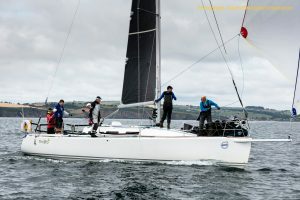 Barry Byrne’s Joker 2, winner of the Beaufort Cup on the final day of racing at Volvo Cork Week 2018. After over 40 hours of intense racing, Barry Byrne’s Irish Defence Forces team, racing J/109 Joker 2, have successfully defended the Beaufort Cup. Youen Jacob’s Baltimore RNLI team, racing J/109 Juggerknot, put the defending champions under serious pressure, taking the gun for the first race on the last day, but finished runner-up by just two points. Simon Coveney’s Irish Defence Forces Team, racing Jedi, recovered from a starting penalty in the first race of the day to make a tenacious comeback taking the final podium spot for the Beaufort Cup, just ahead of Denis & Annamarie Murphy’s Crosshaven RNLI team, racing Grand Soleil 40 Nieulargo. 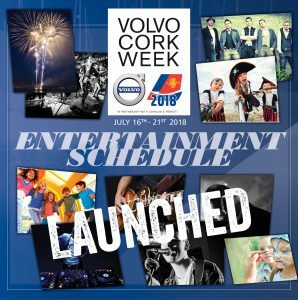 Frank Whelan’s Eleuthera, overall winner of Class 1 IRC at Volvo Cork Week 2018. 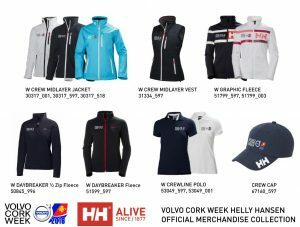 Frank Whelan’s Grand Soleil 44 Eleuthera (Greystones SC) staged the ‘come back of Volvo Cork Week’. On the penultimate day, Eleuthera had scored two victories to move up to third and then smashed out three straight bullets today to win the class. Jay Colville’s First 40 Forty Licks (East Down YC), which had led for much of the regatta was runner up, and Jonathan Anderson’s J/122 El Grand Senor (Clyde Cruising Club) was third. Peter Dunlop and Vicky Coxs’ Mojito from Pwllheli Sailing Club, overall winner of Class 2 IRC at Volvo Cork Week 2018. 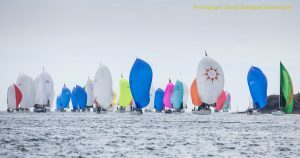 Dunlop & Cox’s J/108 Mojito (Pwllheli SC) won the last two races of Volvo Cork Week to climb from third to first for a dramatic class win by a single point from Ronan Harris’ J/109 Jigameree (Royal Irish YC). Brian & Mary Jones J/109 Jelly Baby (Royal Cork YC) could well of won the class, save a steering problem in the penultimate race, which put the local team back to third, just two points away from victory. 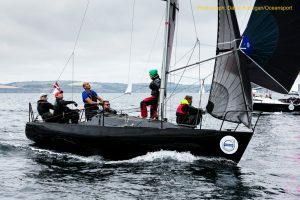 Miss Whiplash owned by Ronan and John Downing, overall winner of Class 3 IRC at Volvo Cork Week 2018. There was high drama from the start with the overnight leader, John Swan’s Half Tonner Harmony (Howth YC), disqualified in a Black Flag start at the beginning of the last day. Ronan & John Downing’s Half Tonner Miss Whiplash (Royal Cork YC), took full advantage taking a bullet in the first race of the day and scoring a second place in the final race to clinch the class. Kieran Collins Olson 30 Coracle IV (Royal Cork) was third. A special mention to Volvo Cork Week’s biggest fans, Paul & Deirdre Tingle’s X-34 Alpaca (Royal Cork YC), which finished the regatta in style with a win in the last race. Fn’Gr8 (Carrickfergus SC) was the winner, James Mathews’ Ed Dubois Diamond (RCYC/KYC), won a close battle for runner up from Paddy Kyne’s X-302 Maximus, who was third, just a point ahead of Denis Byrne’s Trapper 25 Cracker (Royal Cork YC). 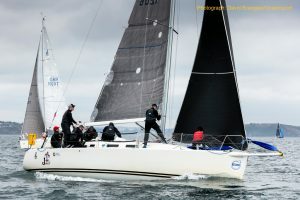 Desmond, Ivers and Deasy’s Sunfast 32 Bad Company (Royal Cork YC), finished Volvo Cork Week with a win in the last race for the IRC Coastal Class, but the class win went to Denis Hewitt’s Mills 37 Raptor (Royal Irish YC), which dominated the class winning three out of five races. Steve Hayes’ Magic Touch (BSC/GSC) scored a second today to move up to runner-up for the regatta. 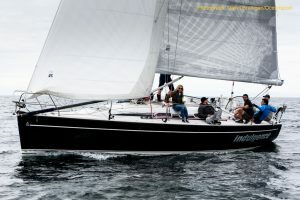 Patrick Burke’s First 35 Prima Luce (Royal Irish YC) was third. In IRC 1 Non-Spinnaker, Broadhead, Collins & Stuart’s Sigma 38 Persistance (Royal Irish YC) won the first race of the day to extend their lead, but Aidan Heffernan’s Dehler 36 Indulgence (Schull Harbour SC), answered the call with two race wins to take victory in the class by a single point. 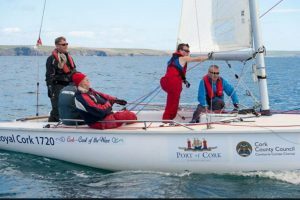 Clodagh O’Donovan’s Roaring Forties (Royal Cork YC) scored three podium finishes today, to place third for the regatta. In IRC 2 Non-Spinnaker, there was a photo-finish, as the top three boats, all from the Royal Cork YC, finished the regatta with the same score. After discard, Tom McCarthy’s Impala 28 Whistlin’ Dixie, was still on level points with Pat Vaughan’s Contessa 33 Aramis. Whistlin’ Dixie was declared class winner by virtue of more first places in the 8-race series. 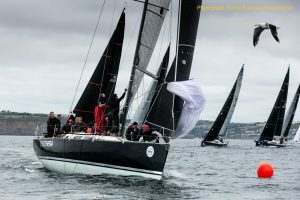 The O’Mahony’s Hanse 31 Loch Greine (Royal Cork YC), which had led for much of the regatta, was just a point of the win in third place, after discard. The International Dragon enjoyed three races today. Their respective Southern Championshops will conclude tomorrow. 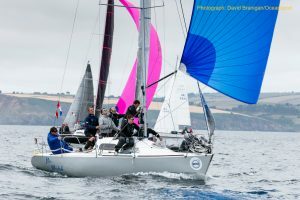 Daniel Murphy’s Serafina (Kinsale YC) leads the class but the second day of the championship belonged to Peter Bowring’s Phantom (Royal St.George YC), which scored a 2-2-1 today elevating the team to second for the series.Cameron Good’s Littla Fella (Kinsale YC) is third. 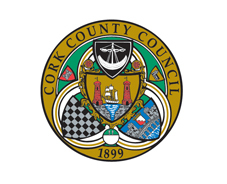 After five races, Anthony O’Leary’s Antix (Royal Cork YC) is the clear leader for the 1720 Southern Championship. 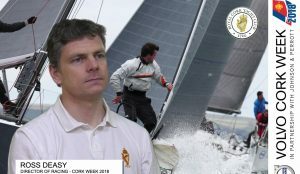 Brian Twomey’s Dark Side (Royal Cork YC) is second after scoring three podium finishes today. Brook & Griffith’s Luvly Jubbly (SCYC & PSC) is third. 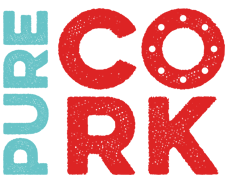 Racing for the 1720 and International Dragon Southern Championships will conclude tomorrow, Saturday 21st July. Racing past Weaver’s Point, Crosshaven in the 16 nautical-mile Harbour Race that included a massed start and sailpast the historic town of Cobh at Volvo Cork Week 2018.